Download the Beginner's Guide and find a ton of 101-level resources to teach the basics of worm composting like how to start and maintain your worm bin with ease. Check out the Urban Worm Company's list of can't miss business resources to help you scale beyond hobby level to a mid- to large-scale operation. Urban Worm Bag, worms, books, vermicompost & bundled items. Find worm-related businesses and let other global vermicomposters know where you are! How Much Should I Feed My Worms? Vermicomposting at home, school, or office is the purest form of recycling, full-stop. Food waste is by far the heaviest form of household waste, meaning it is the most costly in terms of carbon cost to truck it away. And unlike recycling paper, plastic, or glass, you can do it at home. Why Use a Continuous Flow Worm Bin? A continuous flow worm bin like the Urban Worm Bag leverages the worms' tendency to remain in the upper few inches of their habitat. In most DIY bins, this means disturbing the worms in order to tediously separate the worms from the worm castings. The Urban Worm Bag's bottom opening allows for easy castings harvesting without disturbing the worm workers above. 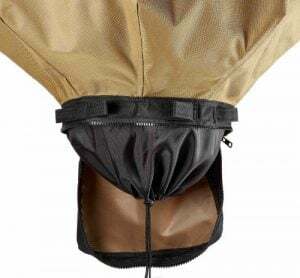 Why Choose the Urban Worm Bag? Because of innovative design and ridiculous customer service. I am always striving to find ways to improve the vermicomposting process for beginners and the Urban Worm Bag does just that by making the harvesting process a breeze. And I'm proud of the fact that the Urban Worm Company has a reputation for over-the-top customer service. Problem with your UWB? I'll send you a new one or come up with a solution that keeps you happy. Free shipping anywhere in the lower 48!